Vitlök är en av de mest kända kryddor, men få människor vet att bortsett från dess karakteristiska smak, har det också många andra positiva effekter t.ex. bidra till att upprätthålla normala blod trygliceride nivåer. Garlic Caps innehåller de aktiva ingredienserna i vitlök och persilja. Dessa örter har använts inom medicinen effektivt under flera hundra år. Garlic is one of the best known spices, yet few people know that apart from its characteristic flavor, it also has many other beneficial effects e.g. help maintain normal blood trygliceride levels. Garlic Caps contains the active ingredients of garlic and parsley. These herbs have been used in medicine efficiently for several hundred years. 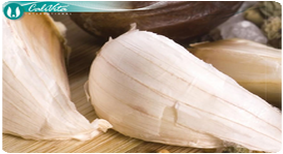 Some studies have linked prolonged garlic consumption with cardiovascular health. Consumption appears to favorably influence the lipid, cholesterol and LDL cholesterol levels in the bloodstream. Moreover, some research has suggested garlic appears to help reduce the amount of cholesterol that clings to the inside of blood vessel walls. 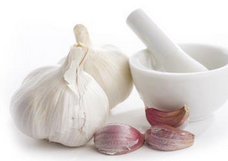 Another active ingredient in Garlic, called allicin, has exhibited strong antibiotic, antiseptic and fungicidal properties. 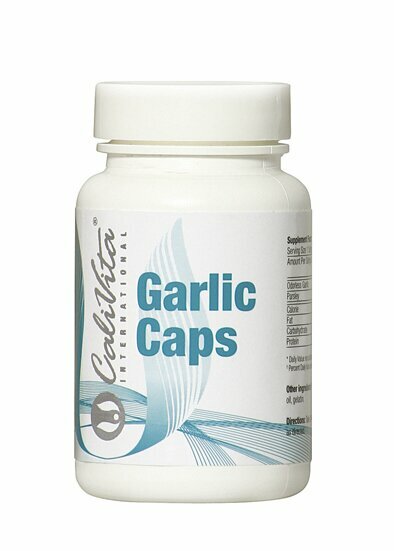 Garlic Caps is a gel capsule which combines garlic with parsley. Aside from the many vitamins and minerals it contains, parsley helps to mitigate some of the unpleasant effects people normally associate with consumption of fresh garlic, such as odor and heartburn. If you have a cardiovascular or blood condition or disease, or any other type of medical condition, or are taking medication, or are scheduled for any kind of operation or medical procedure, seek qualified medical advice before using this product. Drink plenty of water or fruit juice, while using this product.